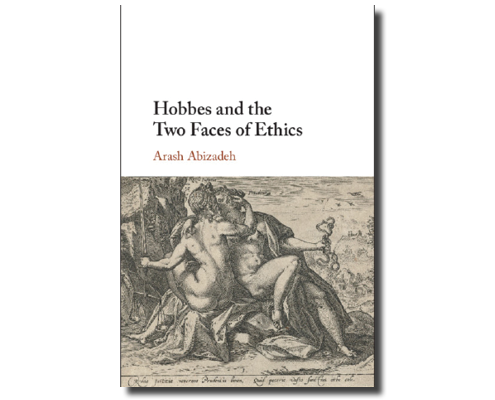 This online colloquium has been established to discuss Arash Abizadeh’s recent book, Hobbes and Two Faces of Ethics. We began with an introduction to the text by Professor Abizadeh, followed by responses from Sandra Field, Michael LeBuffe, and Daniel Eggers. We conclude this week with a reply by Arash Abizadeh. Many thanks to Cambridge University Press for supporting this colloquium. What a pleasure to have one’s work scrutinized so seriously and intelligently. My sincere thanks to Sandra Field, Michael LeBuffe, and Daniel Eggers for their critiques, and to Robin Douglass for bringing us together. Hobbes in his political works claimed that the first and “fundamental” law of nature prescribes seeking peace; the rest prescribe the means to peace. The question is what, according to Hobbes, makes natural laws normative: Why do individuals have a reason to (be disposed to) do as they prescribe? I claim that what grounds the normativity of natural law for Hobbes is a foundationally normative principle prescribing that one desire and pursue one’s own ongoing good or felicity. The laws of nature are normative because they prescribe what conduces to one’s ongoing good—even in the face of imprudent or self-destructive desires, whose realization would be noxious to one’s felicity. These laws are intrinsically prudential normative precepts. 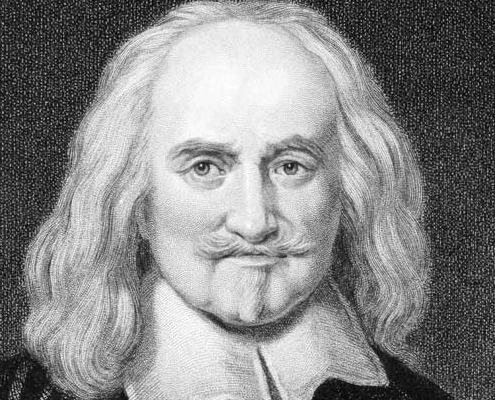 LeBuffe has qualms about this prudentialist interpretation, because “whatever Hobbes takes to be a principle,” we should expect him to state it “explicitly.” I agree with LeBuffe: it would be “contrary to his [Hobbes’s] account of science” to rely on “a fundamental principle that he does not mention.” (‘Principle’ denotes the starting point for a chain of reasoning.) But I do not agree with LeBuffe’s claim that Hobbes failed to indicate this foundational normative principle. Hobbes did so rather clearly by incorporating it into the very definition of natural law, which in the English Leviathan he defined as “a Precept … by which a man is forbidden to do, that, which is destructive of his life … and to omit, that, by which he thinketh it may be best preserved” (L 14.3). Natural laws by definition consist in precepts that proscribe what conduces to self-destruction and prescribe the means to self-preservation. They are normative because self-preservation is normative. This is typical Hobbes: stating a particular science’s “principle” or starting point—here, the prescription to (be disposed to) pursue one’s own preservation—by incorporating it into the definition of a fundamental concept of that science. Hobbes stated his foundational normative principle precisely where LeBuffe says he should have: at the beginning of chapter 14 of Leviathan in his definition of a law of nature. One might of course object that what Hobbes incorporated into his definition was a precept to pursue, not one’s good in general, but self-preservation. Yet Hobbes explicitly and frequently indicated that he meant by self-preservation not just bare survival, but the preservation of a life worth living, i.e., the preservation of “a life, as not to be weary of it,” not just “a bare Preservation, but also all other Contentments of life” (L 14.8; 17.1). This is why in the Latin Leviathan Hobbes could reformulate natural law’s definition in terms of a proscription against what tends to harm one’s good (“quod ad damnum suum sibi tendere”). 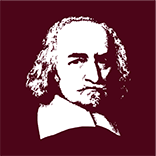 Hence it is a mistake to say, as LeBuffe does, that “Abizadeh claims that for Hobbes the first normative principle which grounds natural law is “desire and pursue your own good,” rather than the explicit definitions and fundamental precepts of Leviathan 14” (my emphasis). I take ‘desire and pursue your own good’ to be, not a rival, but a gloss on the foundational principle incorporated into Hobbes’s definition, viz. desire and pursue your own preservation. True, the “fundamental” law of nature as Hobbes stated it in his political works prescribes seeking peace (rather than self-preservation itself). But Hobbes treated the laws of nature themselves not as “principles” or the foundational starting point of reasoning, but as precepts “found out by Reason” (L 14.3, my emphasis)—on the basis of the foundational principle incorporated into their definition. Indeed, for Hobbes, as for Aquinas, the foundational “principle” of a particular science may itself be grounded in and derivative of some other principle outside the scope of that science. (Philosophia prima, the science lying at the foundation of all other sciences, is an exception.) Seeking peace is the first precept of Hobbes’s “moral” laws of nature, by which he meant those precepts that prescribe the social means to self-preservation. But although in his political works Hobbes was only concerned with precepts regulating social interaction, he also acknowledged, as relevant to ethics more broadly construed, other natural laws (such as temperance) concerning the non-social means to self-preservation. Both the social precepts of reason Hobbes treated in his political works, and the non-social precepts he mentioned but left aside, are grounded in a common normative foundation: self-preservation in the broad, Hobbesian sense of one’s own ongoing good. LeBuffe is also worried about my claim that, although Hobbes took the laws of nature he specified to be epistemically accessible to every rational creature, he thought some may nevertheless fail to know them, i.e., some may not be aware of those precepts or, if aware, may not take them to be normative (“precepts of reason”). LeBuffe suggests that, according to Hobbes, although we may “easily misinterpret” the laws of nature, we nevertheless “all do know” them as precepts of reason. Presumably this means, for example, that although all rational creatures know that they ought to perform their covenants—i.e., although everyone takes the third law of nature to be normative—some misinterpret what this means, perhaps because they misapply the law in failing to understand the particular circumstances in which an undertaking counts as a valid covenant. Hobbes certainly did envision that some who in principle know the laws of nature misinterpret them in practice. For example, Hobbes asserted that one reason why some “are prone to violate the Lawes” is because they are misled by “false Teachers” who “mis-interpret the Law of Nature” (L 27.11). Yet Hobbes asserted that people might also violate the laws of nature not because they misinterpret the laws they know, but because they fail to know them in the first place. This can happen in two ways: either because they are simply ignorant of the law (without believing anything false), or because they have positively false beliefs about which precepts are normative. The former consists in “some defect of the Understanding,” which “is Ignorance”; the latter consists in “Erroneous Opinion” stemming from “some errour in Reasoning.” When Hobbes asserted here that “Ignorance of the Law of Nature Excuseth no man; because every man that hath attained to the use of Reason, is supposed to know,” he was speaking about people who violate the laws of nature because (contrary to LeBuffe’s suggestion) they are ignorant of it. The colonial subtext of the example he immediately used to illustrate inexcusable ignorance—of “a man come here from the Indies” who would “perswade men here to receive a new Religion or teach them any thing that tendeth to disobedience of the Lawes of this Country” (L 27.4)—makes his view crystal clear. LeBuffe cites one passage that might at first glance seem to run counter to Hobbes’s numerous discussions of people who are unaware of, or indeed have positively false views about, which precepts are normative: “all men agree on this, that Peace is Good, and therefore also the way, or means of Peace” or “the rest of the Laws of Nature” (L 15.40). We should already be sceptical of LeBuffe’s interpretation of this passage, however: it is gainsaid by the Foole and, more generally, the fact that people sometimes reason erroneously. The problem is that LeBuffe has severed his quotation from the scope restriction Hobbes had imposed on “all men” immediately before. The fuller passage reads: “so long as a man is in the condition of meer Nature, (which is a condition of War,) as private Appetite is the measure of Good, and Evill: And consequently all men agree on this, that Peace is Good…” (my emphasis). Hobbes was talking about people living in a state of war (“so long as…”). The Latin predecessor in De Cive contains the same restriction: “All men easily acknowledge this state [of war], as long as they are in it, to be evill, and consequently [per consequens] that Peace is good” (DCv 3.31). Once in society, however, many people lose sight of the evils of war and hence fail to recognize the normativity of peace and its means: for “by nature,” human beings are “destitute of those prospective glasses (namely Morall and Civill Science,) to see a farre off the miseries that hang over them” in the state of nature (L 18.20). It is the job of Hobbesian science to provide these prospective glasses so we can know the normativity of peace and its means via philosophical reasoning—whatever our empirical circumstances. Let me go further: the point of the paragraph from which LeBuffe’s quotation is extracted is that even in the state of nature not everyone immediately recognizes that peace is good. People at some point (for example, after catastrophe) will become united in agreeing that peace and its means are overriding goods. Hobbes was saying in this paragraph that in the state of nature people initially call ‘good’ whatever happens to be the object of their variable appetites (so that even “the same man, in divers times, differs from himselfe; and one time praiseth, that is, calleth Good, what another time he dispraiseth”), but that, subsequently, they all come to agree that peace is good. True, Hobbes wrote “consequently,” not subsequently, but we should not be fooled by twenty-first century usage. If today ‘consequently’ is used exclusively as a quasi-conjunctive (like ‘therefore’), in the seventeenth century, consistently with its Latin etymology, the term also meant subsequently or consecutively, i.e., following in time or order (see OED first entry). When Hobbes wrote that “consequently all men agree on this, that Peace is Good,” he didn’t mean that everyone always already knows this truth; he meant that in the state of nature people will come to agree on it (and nothing else). My argument here of course relies on a distinction between the capacity to know laws of nature and actually knowing them. This is the distinction Field calls into question. On her reading, since Hobbes was a materialist determinist who denied free will, a putative capacity one is never caused to exercise is no capacity at all: for Hobbes the capacity to do something is a function not merely of one’s “inner properties,” but of the entire web of causes that determines how one acts. If one is not caused to reason properly, then, on this view, there is no sense in which one could be said to have had the capacity to do so. Field thinks, moreover, this pulls the rug out from under normativity and normative practices—such as holding others attribution-responsible (e.g. criticizing them for violations) and, especially, holding them accountable-responsible. I have reservations about both claims. First, all the textual evidence I called on to show that Hobbes thought some rational creatures fail to know the laws of nature despite the capacity to do so also serves as evidence that Hobbes did distinguish a capacity from its actual exercise. There is, moreover, a straightforward way in which determinists can make this distinction: one has the capacity to do something if, given the right external circumstances, one would do it—even if, under the actual external circumstances, one does not do it. This is the sense in which a rational agent has the capacity to reason and a stone does not: there are no circumstances in which a stone would reason. The distinction relies on the difference between intrinsic and extrinsic properties, on the one hand, and hypothetical and actual external circumstances, on the other. (This is, I take it, what Hobbes was up to in his distinction between absolute and conditional impossibility and potentia in AW 37.5-6). So Field’s real point must be, not that the distinction cannot be made, but that it is not normatively relevant (of no “salience,” as she puts it). This is just her second point: that a determinist is not entitled to deploy notions of normative responsibility and blame. That’s an old intuition, one Field shares with scholastics such as Bramhall. Field may or may not be philosophically correct about this, but hers’ was not Hobbes’s view, and I do think Hobbes’s view (whether true or false) is compelling enough to merit attention. I suspect that what might drive Field’s disagreement with Hobbes here is being in the grip of a conception of normative blame from which Hobbes meant to release us (what she calls “deep moral responsibility”). The question is: What is involved, for Hobbes, in normatively blaming someone in the reactive, accountability sense? It does not involve attributing to agents the ability to have done otherwise under their actual, causally determined circumstances; nor does it involve attributing to them any retrospectively determined theological status, such as being in a state of deserving punishment. This was Bramhall’s, not Hobbes’s, conception. Hobbes’s view is prospective. Normatively to blame someone in the accountability sense is to demand of them that they henceforth acknowledge a normative demand and to seek to vindicate the demand by condemning and sanctioning violations by demanding excuses, justification, or apology, or exacting compensation. But the point of the practice is not to give agents what they deserve in some theological sense, or to rectify an imbalance in the cosmic order. The point is to prevent violations in the future. Rational creatures are the appropriate object of such blame because they have the capacity to respond under the right circumstances, and practices of holding responsible are an attempt to furnish some of those (causal) circumstances. I take it that this is what Hobbes was trying to argue against Bramhall in Liberty and Necessity. Eggers tries putting pressure on the division between eudaimonistic and juridical obligation by asking, “what entitles us to pay such disregard to Hobbes’s own repeated application of the term” (‘oblige’) to characterize the normative force of natural law? I confess to being puzzled by this charge of disregard, since much of the book regards Hobbes’s use of ‘obligation’ to characterize the normative force of natural law. I suspect Eggers might think we disagree here because he has slightly misunderstood my position: I did not intend to claim (as he puts it) that “only the obligation arising from agreements is ‘true’ obligation” or that “obligation towards the laws of nature is not ‘really’ obligation.” I agree with Eggers: eudaimonistic obligation is a kind of obligation in Hobbes’s usage. It is a “true” kind of obligation precisely in the sense that it is normative. (In fact, I argue that this was what ‘obligation’ exclusively meant prior to the early modern period.) My point was that Hobbes used ‘obligation’ in two distinct senses: one in the “proper” sense, i.e., which accords literally with his official, juridical definition (at L 14.7); and another in a “deviant” sense, i.e., which departs from his explicit definition. Part of the misunderstanding might stem from Eggers perceiving more similarities between my view and Bernd Ludwig’s than is warranted (which I cannot judge: my linguistic skills are not good enough to read German without a translation to hand). But on reflection, I also think the misunderstanding may partly stem from my use of ‘proper’ in Hobbes’s now obsolete sense to mean literal: a term’s “proper signification” for Hobbes is its literal meaning (in contrast to its extended, metaphorical meaning), i.e., strictly in accordance with his own explicit definition. This is the sense in which juridical (but not eudainmonistic) obligation is obligation proper. And although Hobbes’s non-literal use of ‘obligation’ departs from his official definition, I don’t think it is “in contradiction” with it: the two meanings are different, not contradictory; nor do natural obligations “contradict” conventionally acquired ones. They simply have a different kind of normative force. I take it our true disagreement lies in this last claim: that natural (eudaimonistic) and conventionally acquired (juridical) obligations for Hobbes have a different kind of normative force. Eggers argues that Hobbes’s distinctions between broad and narrow peccatum, counsel and command, and the non-literal and proper senses of law are no evidence for this claim. The reason is that, as Eggers puts it, the “normative authority” of juridical obligations “ultimately derives from prudential considerations.” Eggers does not provide an argument for this assertion, and it faces an unanswered challenge. Hobbes’s juridical notion of obligation reduces to two components: (1) a normative reason one has to φ plus (2) the normative standing others have to hold one accountable for φ-ing. The first part might be explicable in terms of prudential considerations in favour of one’s φ-ing. But the second part is not: the fact that it would be good for me if others were to have the normative standing to hold me accountable does not amount to their having this standing. (I argue in the book that the normative standing to hold accountable is not reducible, for Hobbes, to the non-normative fact of holding accountable.) 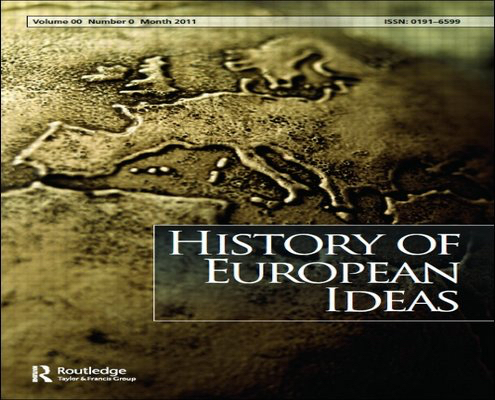 Eggers’s suggestion that adopting the second-personal standpoint “might only be needed for determining the content and scope of our directed obligations, without these obligations therefore acquiring a non-prudential normative status” therefore fails to explain the normative standing to hold accountable (and, relatedly, Hobbes’s distinction between punishment proper and “hostility”). Nor do I think Eggers’ assertion reflects Hobbes’s view. Hobbes was clear that the prudential reasons one agent has cannot by themselves provide to other people the normative standing to hold the agent accountable. Thus, Hobbes repeatedly claimed that natural laws themselves provide “no place for Accusation” (L 14.30; 27.3; cf. 30.30). Another important piece of textual evidence that Eggers passes over concerns the relation between natural right and natural law. Hobbes characterized the full right of nature, in the “pure” state of nature, as implying the absence of any obligation. Yet he also characterized rational creatures, even in the pure state of nature, as already obliged by natural law. The only explanation for how one could be free of all obligation while simultaneously obliged is that there are two different kinds of obligation at stake: natural right corresponds to absence of obligation in the juridical sense, while natural law imposes obligation in the eudaimonistic sense. Failing to distinguish the two dimensions of normativity implausibly saddles Hobbes with an obvious contradiction at the heart of his ethics—and this, with respect to his two most central ethical concepts. 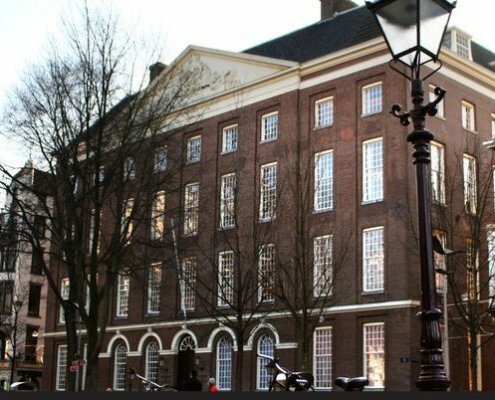 The thought that fulfilling juridical obligations requires being motivated by justice itself is, however, wholly alien to Hobbes’s conception of juridical obligation and accountability. To be sure, this is not because no people are ever motivated to conform to their juridical obligations from recognizing the obligation’s normative force. 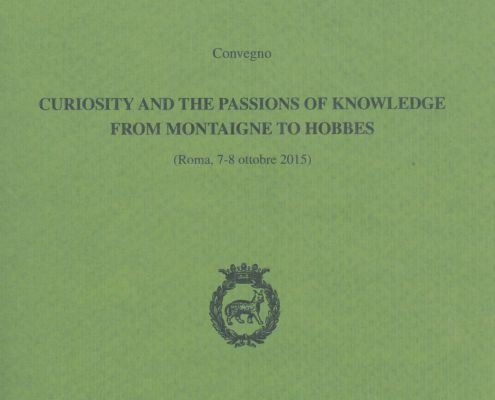 Hobbes was a psychological egoist and hedonist, but (as I argue in the book) not a strong one. He held that all action is prompted by desire and that we desire things only if we represent them as pleasant to ourselves, but he did not think that only considerations of self-interest can motivate people (or that the object of all desire is pleasure). He acknowledged, for example, benevolence or “Desire of good to another” (L 6.22). Hobbes also acknowledged the desire to conform to one’s obligations: there exist “Righteous” or virtuous individuals whose “Manners” or “disposition” of character are aptly called “Just” precisely because they are motivationally disposed to fulfil their obligations because they are averse to violating covenants. Such individuals possess “a certain Noblenesse or Gallantnesse of courage, (rarely found,) by which a man scorns to be beholding for the contentment of his life, to fraud, or breach of promise. This Justice of the Manners, is that which is meant, where Justice is called a Vertue” (L 15.10-12). This is the sense in which, as David Boonin has argued, Hobbes was a virtue theorist: virtuous individuals are motivationally disposed to act for the “right” reasons, i.e., because they recognize the justice of an action. Yet for Hobbes, questions of desire or motivation in foro interno, dispositions of character, and virtue fall exclusively under the auspices of the first, attribution-responsibility dimension of normativity governed by natural law. Others may have the standing to criticize one for an unjust or vicious character—it is an imprudent character to have—but there is no question of others having the normative standing to hold one accountable for unjust dispositions or motivations. There are no grounds, for example, for punishing (or demanding an apology or compensation from) those who outwardly conform to the laws but are motivated to do so solely because they fear punishment. Hobbes was resolutely opposed to allowing inquisitorial practices to infect accountability relations: he considered it a grave “Errour” to “extend the power of the Law, which is the Rule of Actions onely, to the very Thoughts, and Consciences of men, by Examination, and Inquisition of what they Hold, notwithstanding the Conformity of their Speech and Actions” (L 46.39). There is no basis for punishing a non-virtuous individual who performs just actions out of “feare” or “because his Will is not framed by the Justice, but by the apparent benefit of what he is to do” (L 15.10). This is the point of Hobbes’s distinction between just men and just actions in paragraphs 10-12 of chapter 15: the justice of “Manners” or character is a eudaimonistic obligation prescribed by natural law as conducive to felicity; but juridical obligations owed to others concern solely the “Justice of Actions.” So not only can Hobbesian individuals be motivated by justice, not being motivated by justice does not itself imply a violation of their juridical obligation. Juridical obligations do not require any particular mental states. We may, of course, decide to cut off relations with people of a vicious character—or, as Hobbes warned the Foole, we may refuse to enter into society with them in the first place—but we should be doing so, on Hobbes’s view, for prudential reasons. Resentment or revengefulness is out of place. Eggers’ second argument about the incompatibility of Hobbesian psychology and juridical obligation suffers the same fate. Here is the argument as I understand it: First, if we hold people accountable for their actions, but all action derives, as Hobbes believed, from the will, then “within the Hobbesian framework, we can only hold someone accountable for his will.” Second, if “all that can ever motivate Hobbesian individuals are considerations of self-interest, then this means that in holding someone accountable for violating his contractual obligations, we ultimately blame him for not acquiring the appropriate self-interested motivation, that is, for not behaving prudently.” But then it looks as if one is reduced to holding individuals accountable for actions because they were imprudent, i.e., because of a violation of eudaimonistic obligation—which appears to collapse the distinction between the two dimensions of normativity. There are three problems with this argument. First, as we have seen, Hobbes did not think that only considerations of self-interest can motivate people. Second, even though all action is for Hobbes caused by the will (desire), it does not follow that in holding people accountable for their actions we thereby “ultimately” hold them accountable for their will or desires. Again, as we have seen, on Hobbes’s view we sanction people for their actions, not for the will that caused the action—nor, indeed, for the opinion that caused the will, nor for the food they ate that caused the appetite that became their will, nor for the rain that nourished the food they ate, etc. The normative force of blame and accountability does not always retrace whatever paths had been forged by empirical relations of causation. Third, there is a difference between holding people accountable for actions that are imprudent and holding them accountable for actions because they are imprudent. For Hobbes, because violations of juridical obligation are also imprudent, when people are held accountable they are held accountable for actions that turn out also to be imprudent. Nonetheless, one has the standing to hold them accountable for violations on the basis, not of the actions’ imprudence, but of their being violations of juridical obligation.